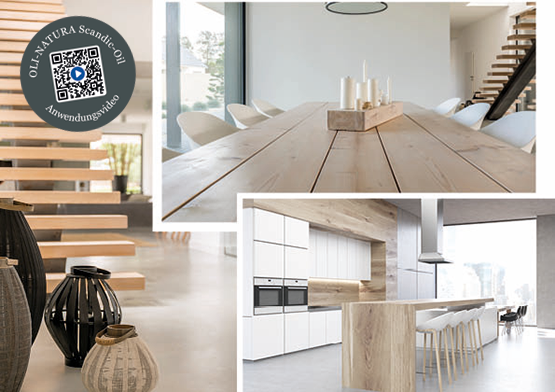 With »OLI-AQUA AUTHENTIC 51.30 I 2c-Parquet Sealer« comes a new raw-wood-effect on wooden floors in 2019. No other parquet sealer has been as strikingly inconspicuous as the »OLI-AQUA AUTHENTIC«. The surface is impressive with ultra matt effects without changing on the colour of the wood. The floor is »invisibly« protected and shows hardly any difference to the raw wood. And anyone who touches it understands: the raw wood effect surface emphasises the high value of the parquet. "With the product name »OLI-AQUA AUTHENTIC« we are alluding to the properties of the parquet seal to give the floor an amazingly authentic raw wood look," says Managing Director Götz Schubert. The two-component parquet sealer does not change the colour of the wood at all and shows optically or haptically hardly any lacquer coat. The surface scores with mechanical robustness and with a gloss level of less than 5% is exceptionally matt. Thanks to considerable progress in the field of aqueous polyurethane dispersions, it was possible to optimally integrate the matting agent into the molecular structure of the paint binder. The matting agent scatters the light so that the dull matt effect is further enhanced. The surface is extremely resistant to dust and fingerprints. It is also resistant to yellowing and much more scratch-resistant than many comparable parquet finishes. The puristic elegance appeals particularly to design-oriented people who want an amazingly natural seal for their parquet floor. In principle, the application of »OLI-AQUA AUTHENTIC« does not differ from that of a conventional two-component parquet sealer. Immediately before application, the Parquet Sealer has to be mixed with »OLI-AQUA Hardener 13.2« in a ratio of 20:1. The pot life of 3 hours is also practical for large surfaces. The sealer has a very good filling capacity and can be applied evenly in three roller coats with 100 g/m² each. In order to achieve a perfect surface result, an intermediate sanding should be carried out before applying the last sealing coat. After complete curing, the water-based parquet sealer forms a dense film with a very high surface hardness. 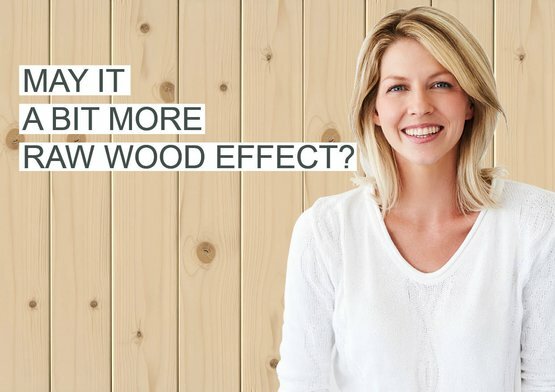 This makes the wood extremely resistant to mechanical influences and moisture penetration. This is why the seal can even be used on heavily frequented parquet floors in commercial areas such as restaurants, kindergartens and schools. It is particularly suitable for oak and light-color soft- and hard woods for indoors. We cordially invite you to click our new product video. In this video we show you how easy it is to apply the »OLI-AQUA AUTHENTIC 51.30 I 2C parquet sealer«. 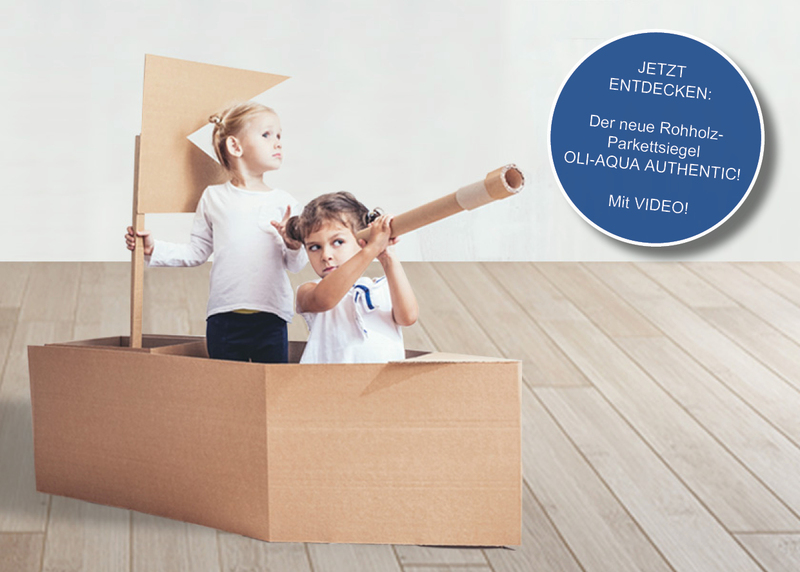 With a VOC-content of less than 3% is »OLI-AQUA AUHTENTIC« very environmentally friendly and ensures a healthy living environment. The water-based parquet sealer conforms to EU-Decopaint-directives and is a building product approved by the German Institute for Building Technology (DIBt). The product complies with the latest state of coating technology and environmental legislation and complies with DIN EN 71-3 (safety of toys) and is saliva- and perspiration-resistant in accordance with DIN 53160. Dust or loose dirt is simply removed with a broom, vacuum cleaner or a dry mop. Sticky dirt can be removed quickly with the parquet wipe care »OLI-AQUA CARE 15.94«. Simply add some wipe care to the water, wipe the surface with a damp cloth and allow to dry - done. For initial care and for the refreshment, we recommend »OLI-AQUA POLISH 15.95« in »Matt«, which is applied undiluted and as an evenly thin film to the thoroughly cleaned floor, applying with a wiping weasel or a wide mop. 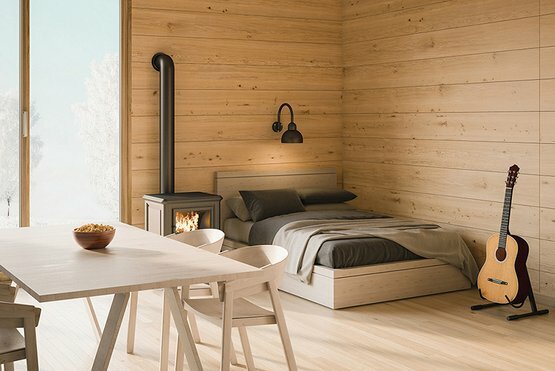 Light woods such as spruce, pine, or oak are preferred in Scandinavian-style interior design. The Nordic design comes into its own when the surface is "invisibly" oiled and the wood looks natural and untreated. The new »OLI-NATURA Scandic-Oil« natural wood effect follows this trend. 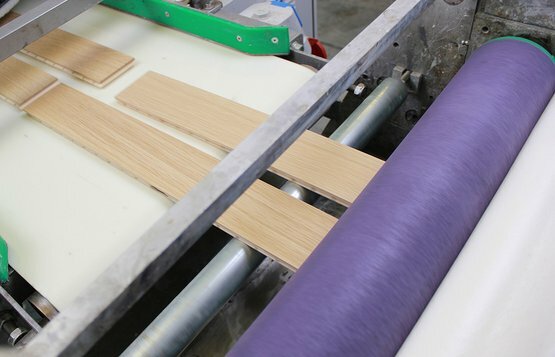 With "OLI-NATURA Scandic Oil-Primer” reacts OLI LACKE to the industry's increased demand for a new priming-oil which doesn’t intensify the color of the wood and which works for all the common roller-machines. The raw wood effect primer offers an 'invisible' base for the following top coat. Thanks to the new 2C raw wood effect lacquer "OLI-AQUA NORDIC 18.40" a nordic breeze blows through the exclusive surface refinement in the high-quality interior work. The name alone gives a hint: What's inside the container brings maximum optical clarity and a supermatt finish to the wood. May it a bit more raw wood effect? From oil to furniture laquer to parquet sealer - with »OLI-NATURA SCANDIC-OIL«, »OLI-AQUA NORDIC« and »OLI-AQUA AUTHENTIC« Oli Lacke is focusing in 2019 on a rounded out raw wood effect package according to the motto "Everything from one source". This offer enables every carpenter, joiner and parquet layer to realise all customer needs in high quality.